(CBS/AP) INDIANAPOLIS - Paula Cooper. who was sentenced to death at age 16 after she confessed to her part in the torture and murder of a 78-year-old bible studies teacher, has been released from an Indiana prison after spending 25 years behind bars. Cooper, whose death sentence in 1986 enraged human rights activists and drew a plea for clemency from Pope John Paul II, left the state prison quietly in a state vehicle and wearing donated clothing, Department of Correction spokesman Doug Garrison said. The prison, about 60 miles west of Indianapolis, gave the now-43-year-old woman $75 to help her make a fresh start. When asked where Cooper was being taken, Garrison said, "We have something arranged but that's not something I can talk about." Cooper was 15 years old when she used a butcher's knife to cut Ruth Pelke 33 times during a robbery in Gary that ended in Pelke's death. Her three companions received lighter sentences but Cooper confessed to the killing and in 1986, at age 16, she became the youngest person on death row in the country. Shortly after, the U.S. Supreme Court ruled that young people who were under 16 at the time they committed an offense could not be sentenced to death, ruling it unconstitutional. Indiana legislators then passed a state law raising the minimum age limit for execution from 10 years to 16, and in 1988, the state's high court set Cooper's death sentence aside and ordered her to serve 60 years in prison. In 2005, the U.S. Supreme Court ruled it unconstitutional to execute anyone who is younger than 18 when they committed an offense. 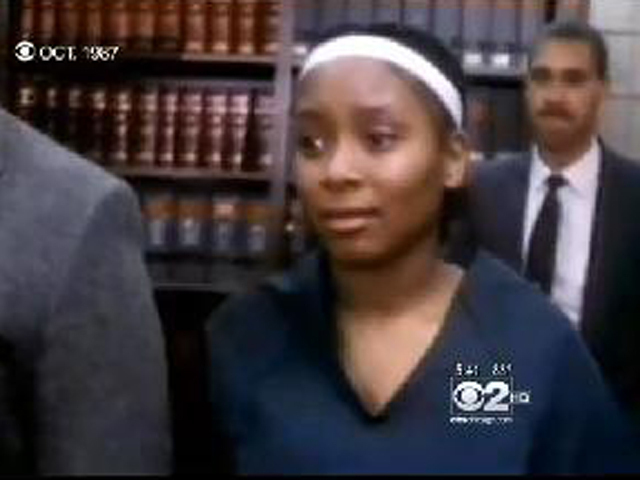 Cooper's sentence was reduced due to her behavior in prison, where she earned a bachelor's degree. She will remain on parole for a few years, Garrison said. "We're just wanting her to be successful, that's all," he said. "She needs to get back to living."